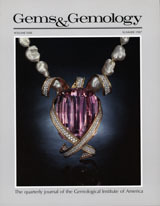 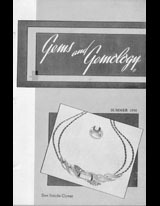 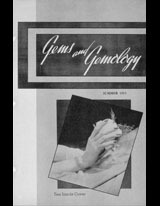 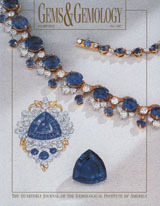 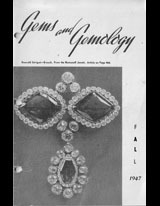 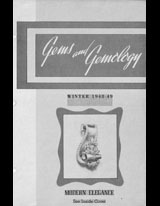 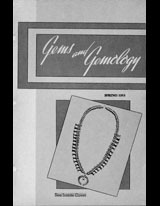 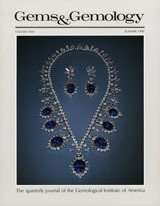 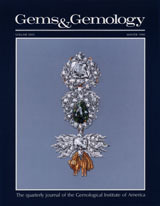 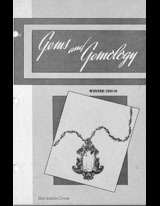 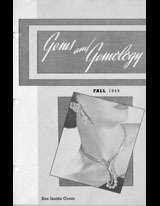 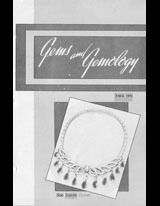 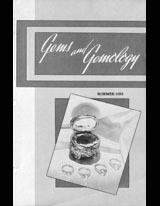 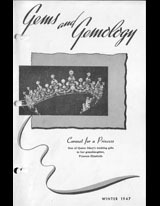 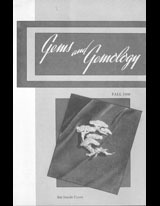 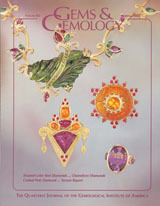 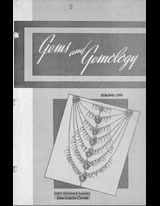 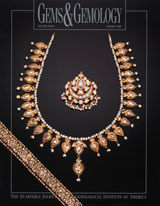 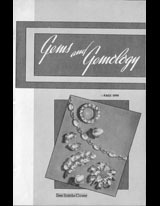 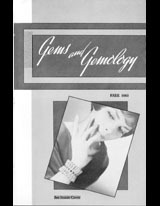 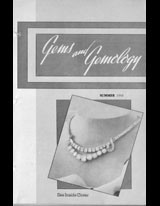 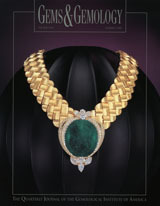 An overview of the Fall 2017 Gems & Gemology content. 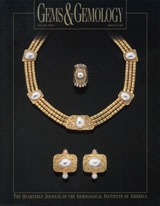 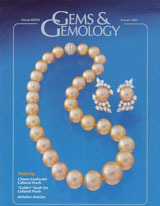 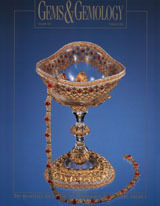 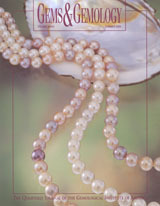 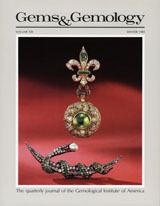 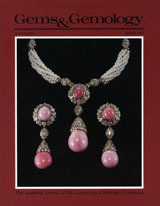 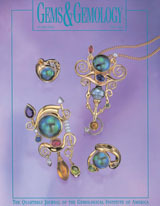 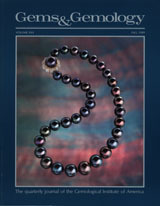 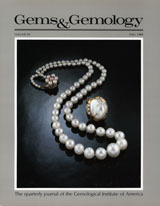 Examines 85 saltwater natural pearls, reportedly harvested from the Caribbean islands off the coast of Venezuela during the early 16th century, to determine their age. 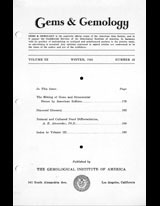 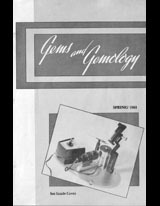 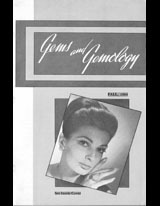 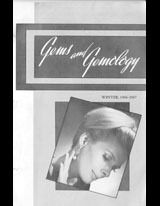 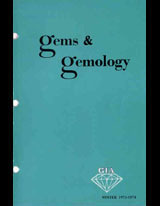 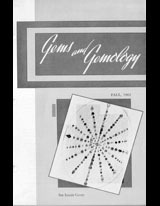 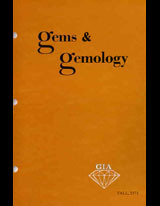 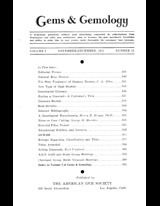 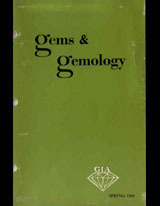 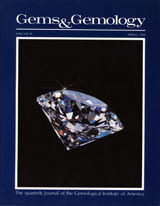 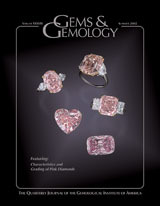 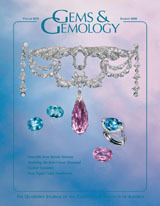 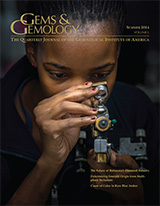 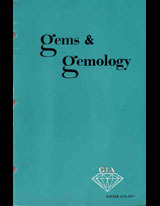 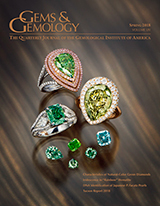 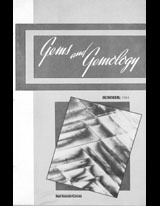 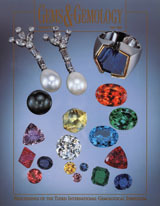 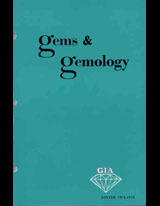 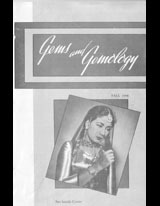 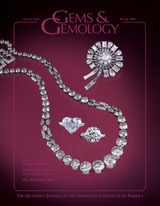 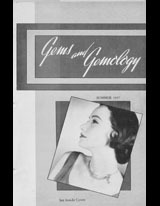 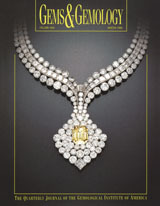 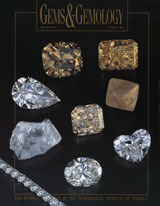 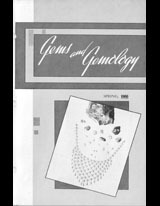 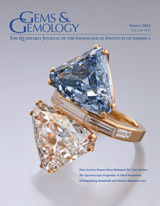 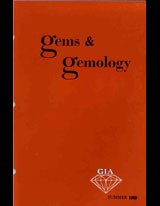 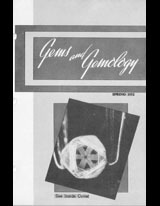 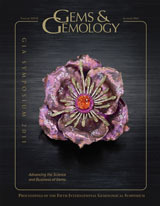 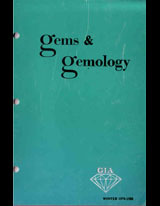 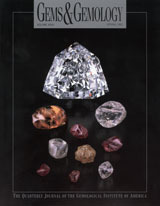 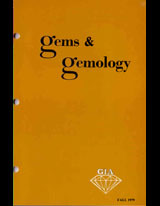 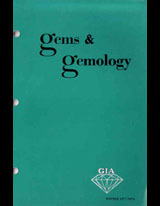 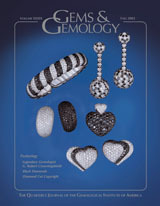 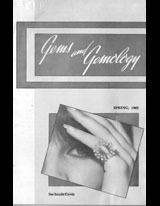 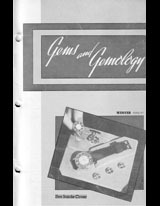 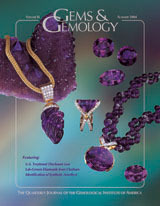 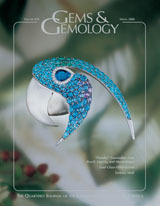 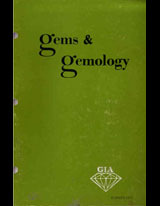 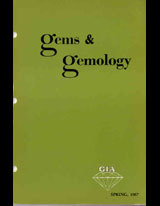 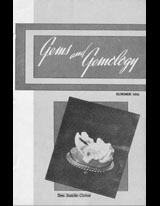 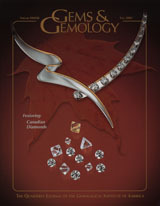 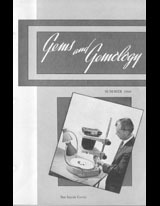 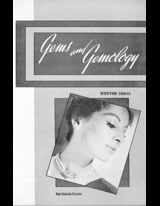 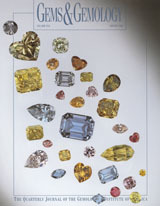 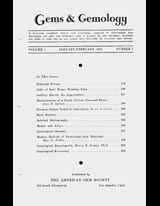 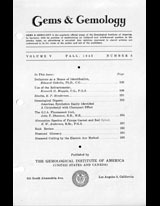 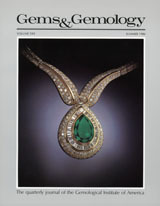 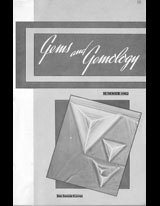 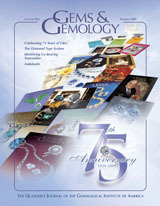 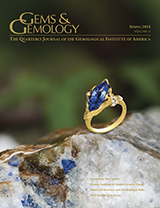 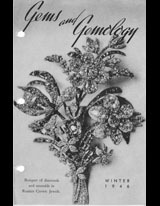 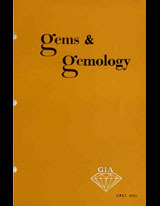 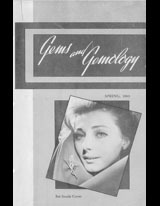 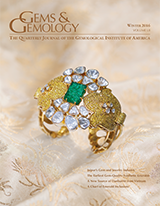 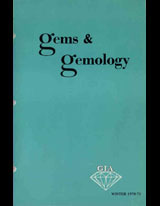 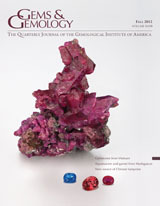 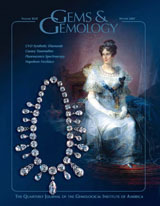 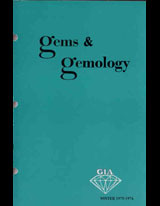 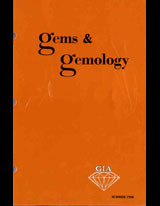 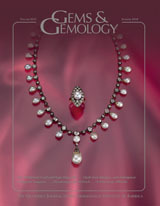 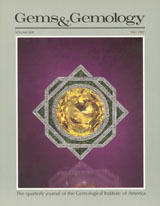 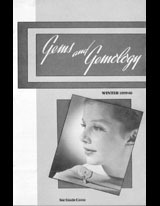 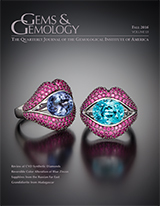 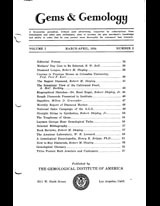 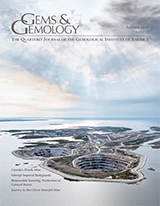 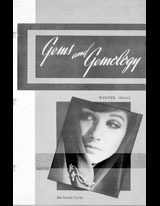 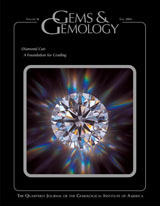 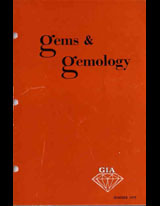 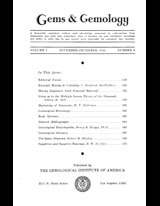 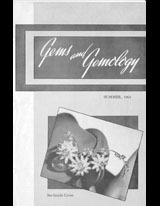 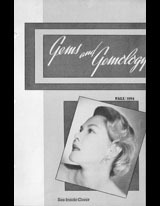 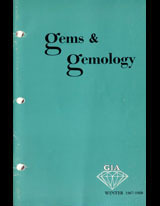 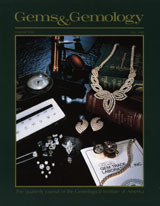 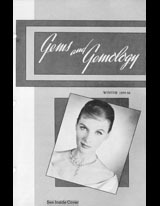 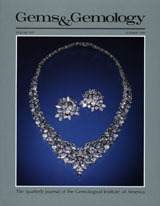 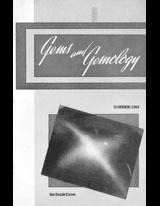 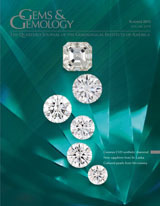 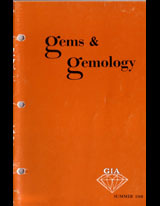 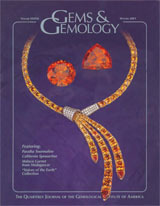 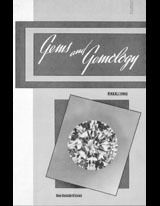 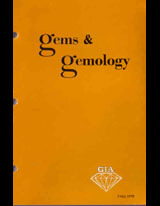 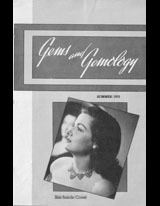 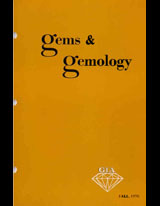 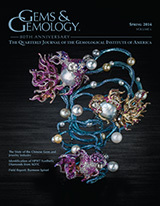 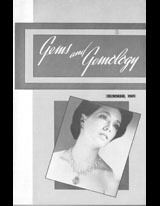 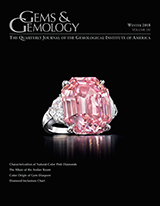 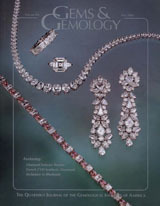 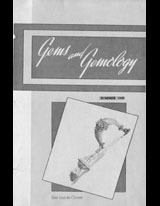 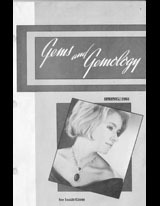 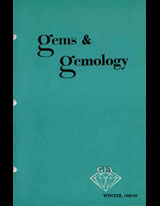 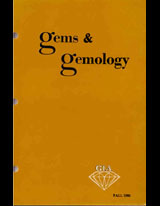 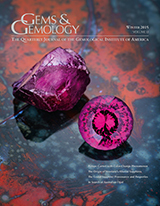 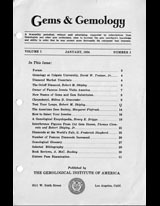 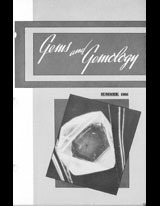 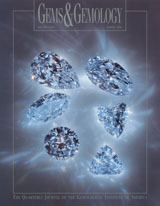 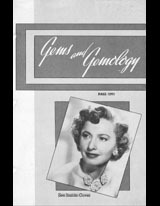 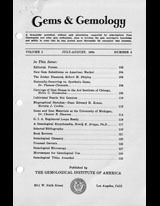 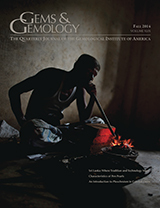 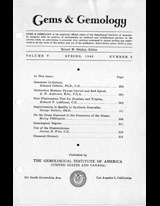 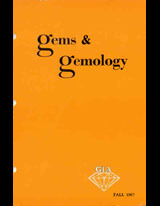 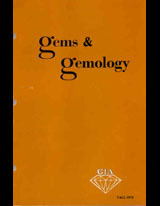 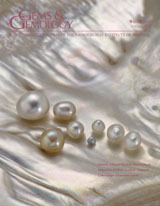 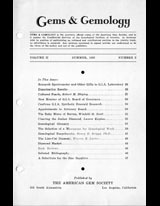 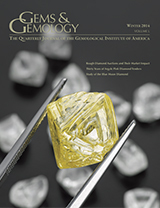 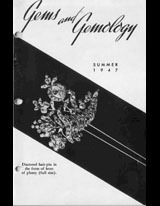 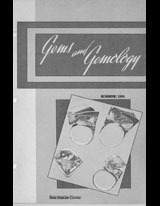 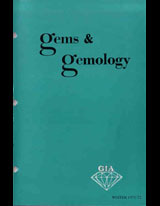 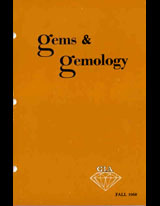 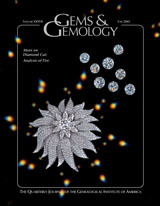 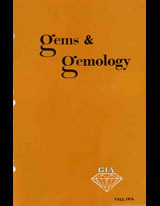 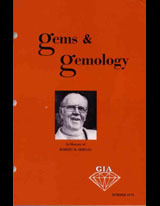 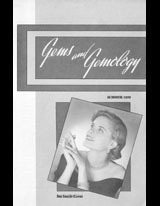 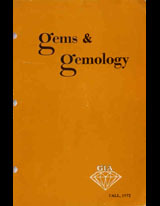 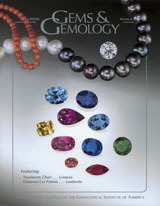 Summarizes statistical data and distinctive features of several thousand gem-quality HPHT synthetic diamonds examined by GIA from 2007 through 2016. 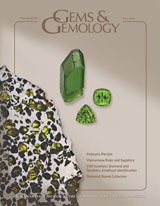 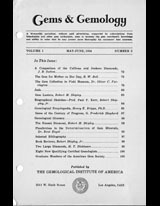 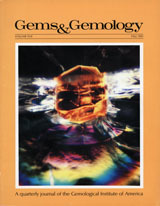 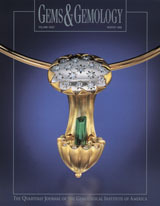 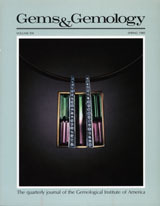 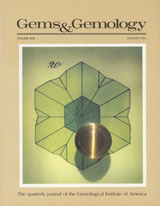 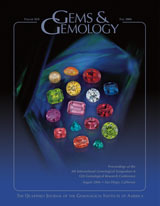 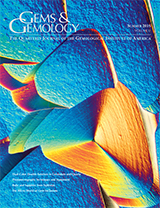 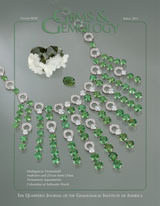 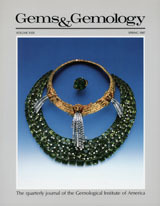 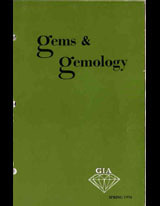 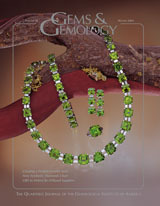 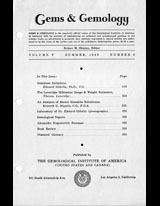 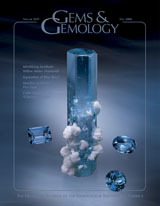 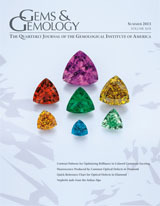 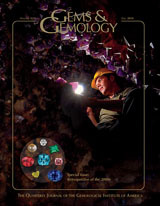 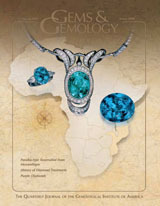 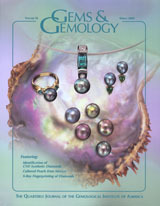 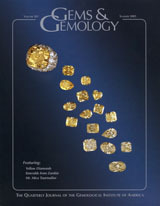 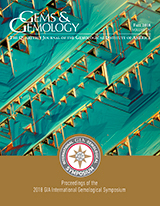 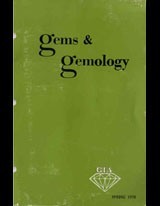 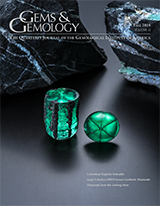 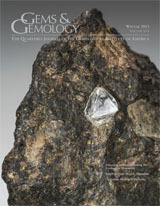 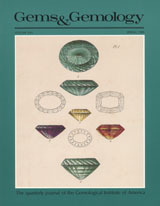 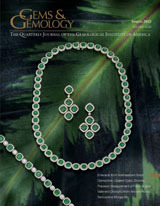 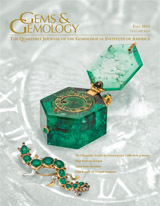 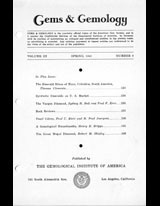 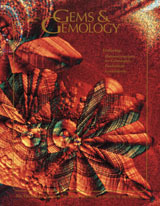 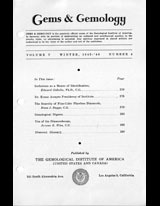 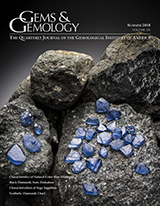 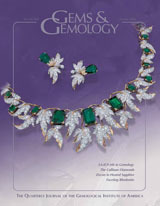 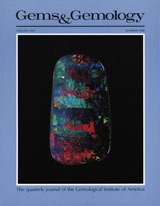 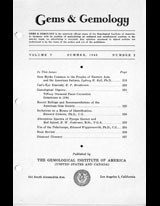 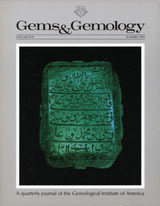 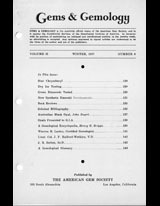 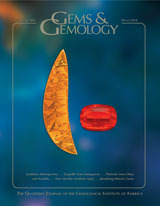 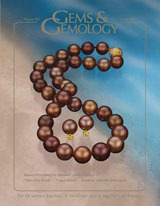 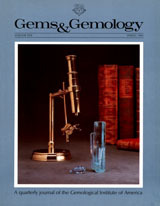 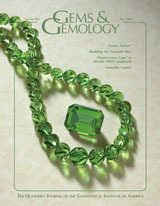 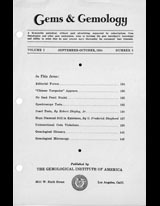 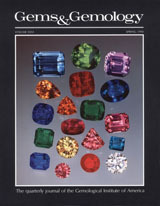 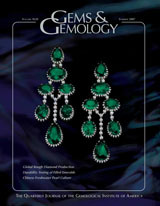 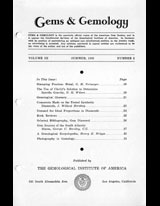 Compares PL spectroscopy data of 48 emerald samples from three countries to evaluate the usefulness of the technique in geographic origin determination. 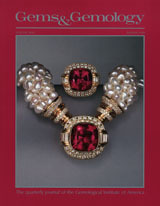 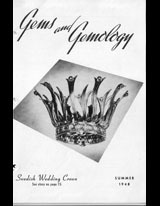 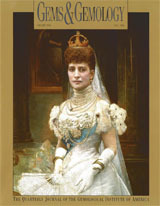 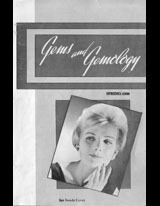 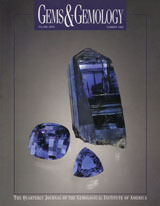 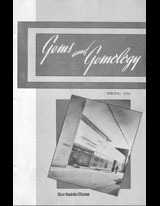 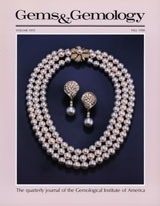 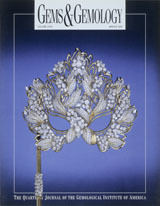 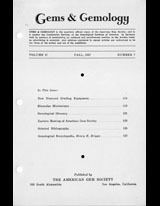 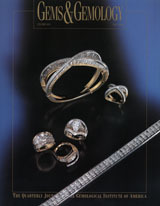 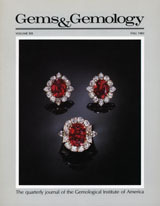 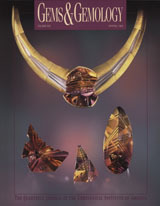 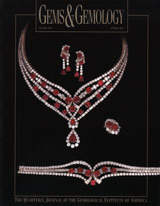 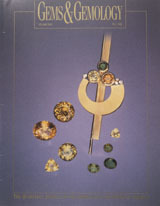 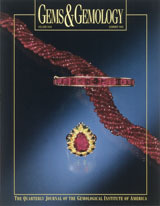 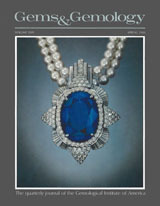 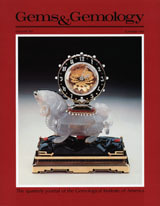 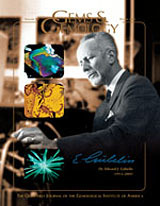 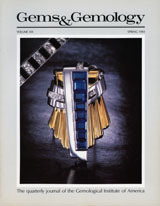 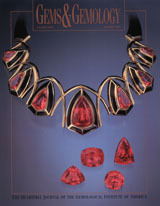 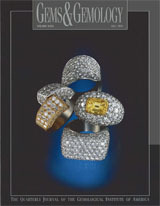 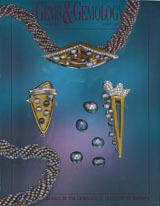 Details the process used by Wiede’s Carbidwerk to produce star synthetic corundum from the mid-1950s through the 1970s. 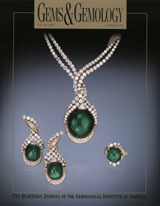 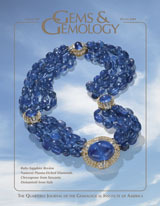 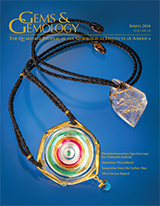 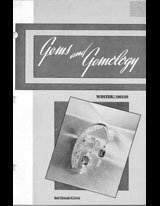 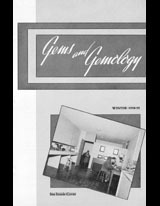 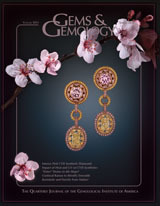 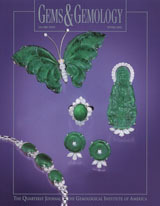 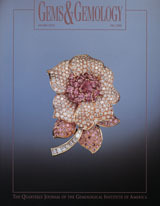 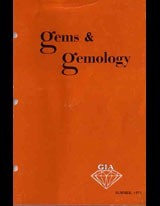 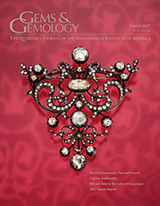 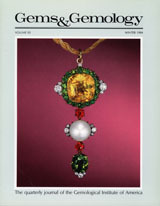 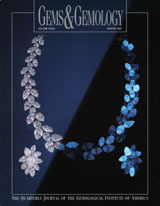 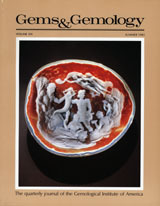 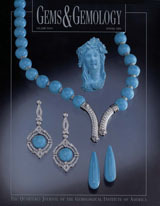 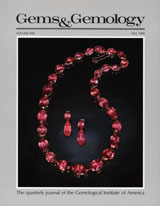 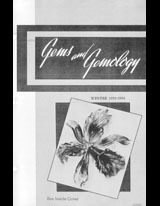 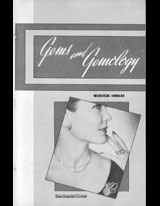 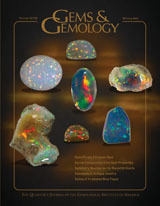 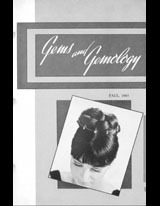 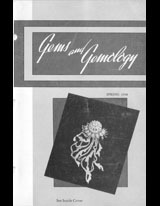 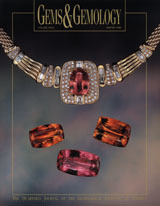 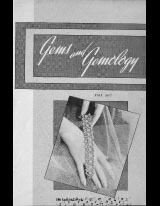 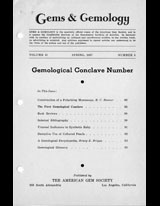 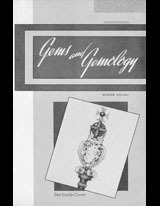 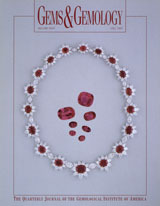 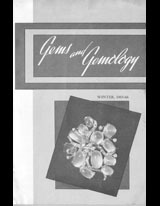 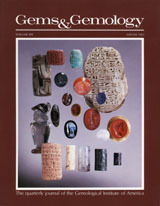 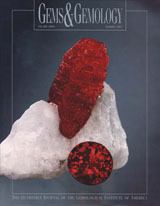 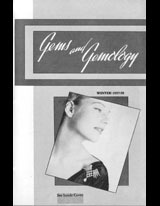 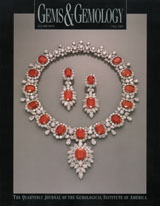 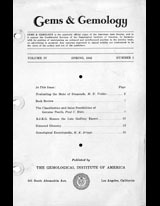 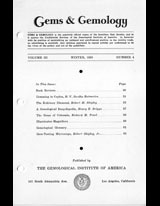 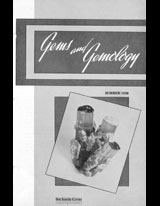 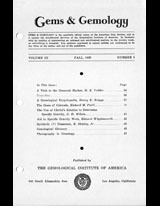 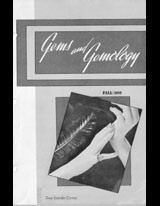 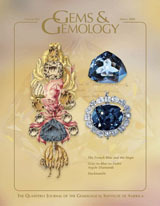 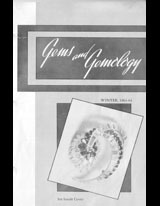 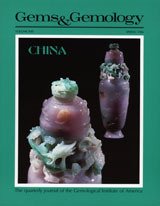 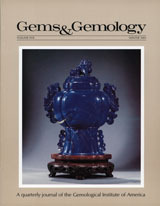 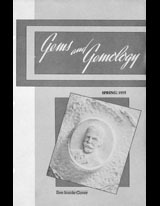 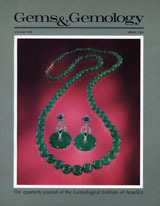 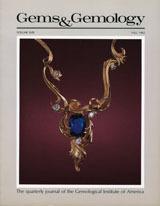 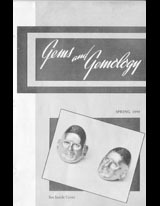 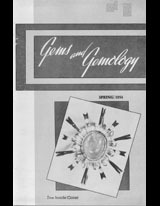 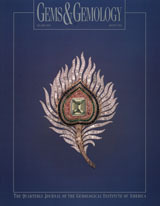 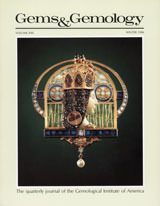 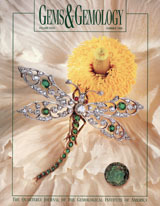 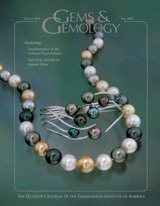 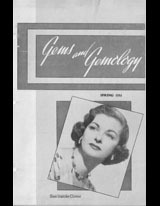 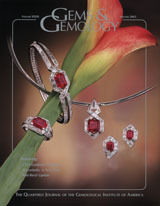 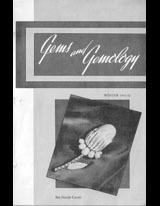 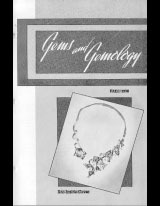 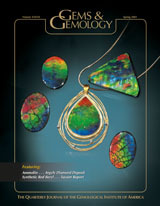 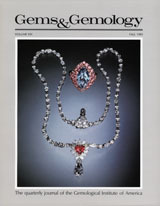 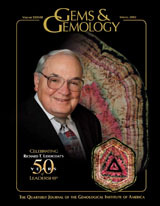 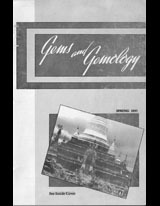 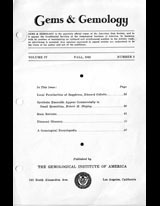 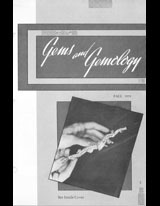 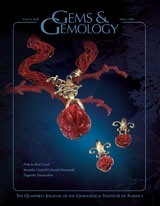 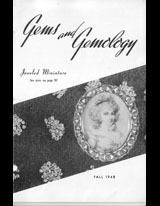 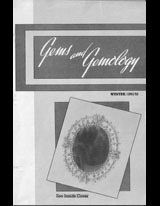 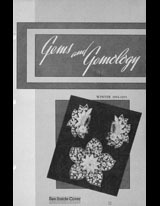 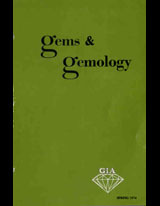 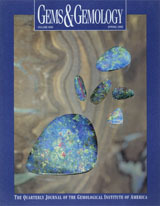 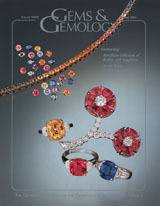 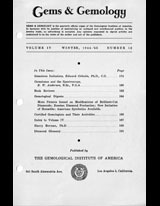 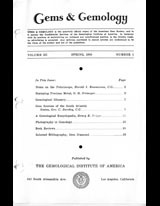 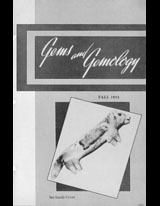 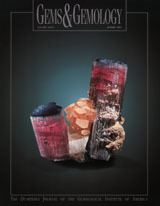 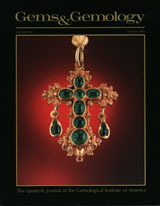 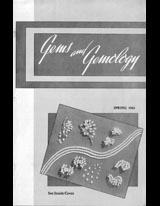 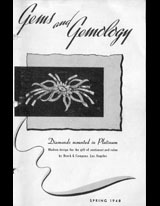 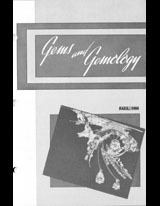 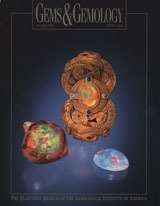 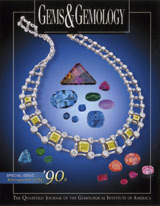 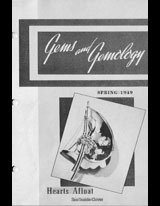 Discusses the mineralogical composition and provenance of this spotted decorative gemstone. 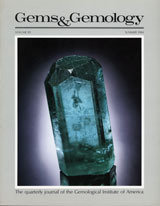 A firsthand look at Colombia’s emerald mines and the cutting and trading industry in Bogotá. 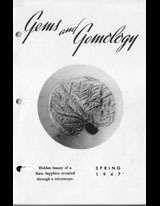 An in-depth look at the hidden world of gem inclusions. 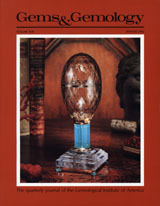 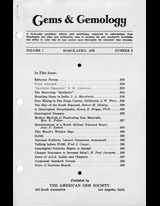 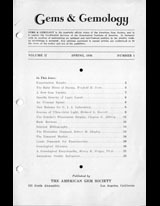 Congratulations to the readers who earned a perfect score on this year's Challenge quiz.